Many procedures are available to help patients look younger and more rested. They may be performed individually, or several procedures may be performed at once, for maximum rejuvenation. FACELIFT (rhytidectomy): This procedure helps to make patients look younger by tightening the skin of the face and neck. Excess fat may be removed, and facial muscles may be tightened. Incisions are placed along the hairline or in natural creases of the face and neck, so as to make scars nearly invisible. Facelifts are performed under general anesthesia. The procedure may be repeated in ten years, if necessary. Some patients also choose to have lip injection procedures. Some patients combine this with an eyelid lift. FOREHEAD LIFT (browlift): This procedure makes the patient look more youthful by tightening the skin of the forehead, which in turn will draw up drooping eyelids. Excess tissue, muscle, and skin are removed. The incision is usually made along the top of the head, behind the hairline, which makes the scars relatively inconspicuous. Forehead lifts are performed under general anesthesia. The procedure may be repeated as time passes if desired. EYELID LIFT SURGERY (blepharoplasty): This procedure is used to correct drooping eyelids and puffy bags from the eye area. Excess fat, as well as skin and muscle if necessary, are removed. Fine sutures are used, and scars are nearly invisible. Insurance may cover the surgery if drooping eyelids interfere with vision. Eyelid surgery is performed under general anesthesia. CHEMICAL PEEL: This procedure uses chemicals (phenol, trichloroacetic acid (TCA), or alphahydroxy acids (AHAs) to remove the damaged outer layers of skin from the face. Each chemical formula produces different results and carries different risks, so the choice of chemical formula depends on the results desired and should be discussed with the surgeon. Peels can correct blemishes, wrinkles, and uneven skin pigmentation. Anesthesia is not required for peels, since the chemical formulas either act as anesthetics themselves, or cause only a small stinging sensation. However, sedatives may be given to help you relax before your peel. Peels may be repeated, depending on the type of peel, as desired. Sometimes it may be combined with micro-needling treatments. 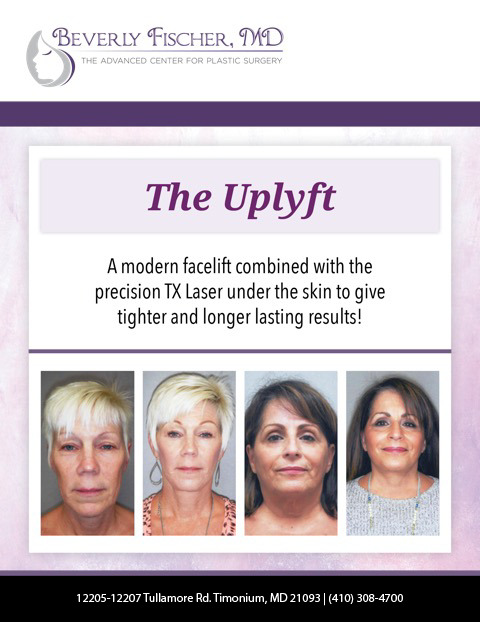 Interested in facial rejuvenation? Visit our center for plastic surgery serving the Baltimore, Maryland area, with on of the best plastic surgeons in Maryland.